To assist the clinician in making the diagnosis of depression. To quantify depression symptoms and monitor severity. The Patient Health Questionnaire (PHQ)-9 is the Major Depressive Disorder (MDD) module of the full PHQ. Used to provisionally diagnose depression and grade severity of symptoms in general medical and mental health settings. Scores each of the 9 DSM criteria of MDD as “0” (not at all) to “3” (nearly every day), providing a 0-27 severity score. The last item (“How difficult have these problems made it for you to do your work, take care of things at home, or get along with other people?”) is not included in score, but is a good indicator of the patient’s global impairment and can be used to track treatment response. Higher PHQ-9 scores are associated with decreased functional status and increased symptom-related difficulties, sick days and healthcare utilization. Objectively determine initial symptoms severity and monitor symptom changes/effect of treatment over time. Ask the patient: how often have they been bothered by the following over the past 2 weeks? Feeling bad about yourself — or that you are a failure or have let yourself or your family down? Moving or speaking so slowly that other people could have noticed? Or so fidgety or restless that you have been moving a lot more than usual? Thoughts that you would be better off dead, or thoughts of hurting yourself in some way? Final diagnosis should be made with clinical interview and mental status examination including assessment of patient’s level of distress and functional impairment. Rule out bipolar disorder, normal bereavement, and medical disorders causing depression. The PHQ-9 is a validated, 9-question tool to assess for the degree of depression present in an individual; the last question is not scored, but is useful functionally to help the clinician assess the impact of the patient's symptoms on his or her life. PHQ-9 score of ≥10 has a sensitivity of 88% and a specificity of 88% in detecting MDD. Criterion and construct validity of the scale was assessed in 3,000 primary care patients and replicated in 3,000 obstetrics-gynecology patients. Kroenke K, Spitzer RL, Williams JB. The PHQ-9: validity of a brief depression severity measure. J Gen Intern Med. 2001 Sep;16(9):606-13. PubMed PMID: 11556941; PubMed Central PMCID: PMC1495268. Arroll B, Goodyear-Smith F, Crengle S, Gunn J, Kerse N, Fishman T, Falloon K, Hatcher S. Validation of PHQ-2 and PHQ-9 to screen for major depression in the primary care population. Ann Fam Med. 2010 Jul-Aug;8(4):348-53. doi: 10.1370/afm.1139. PubMed PMID: 20644190; PubMed Central PMCID: PMC2906530. 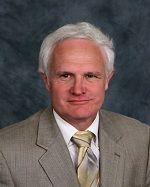 Kurt Kroenke, MD, is a professor of medicine at the Indiana University School of Medicine and Director of the Career Development, Education and Research Training (CERT) program for the Indiana Clinical and Translational Sciences Institute (CTSI). He has won numerous grants for his research in pain, depression, and anxiety. He has over 300 peer-reviewed research publications.